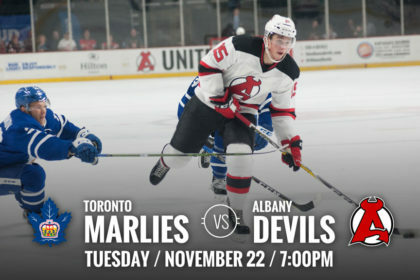 ALBANY, NY — After playing five of their last seven games on the road, the Albany Devils return to Times Union Center for a 7 pm contest against the Toronto Marlies Tuesday. 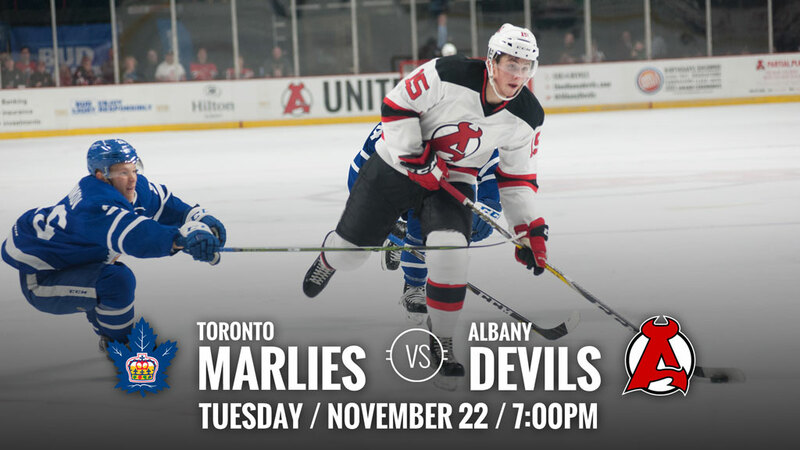 The contest is the third of eight between the two teams and Albany is 1-1-0-0 against Toronto this season. 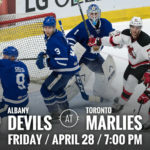 During the 2016 Calder Cup Playoffs, the Devils and Marlies faced off during the Second Round, which was decided during the final minutes of the seventh game. 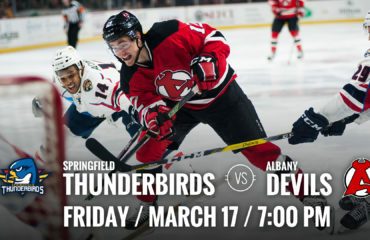 Five-Game Streak: Joe Blandisi is on a career-long five-game point streak, producing three goals and five helpers. 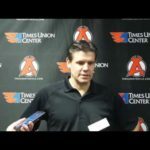 He began the streak, tying a career high, with four points (2g-2a) against Hershey on Nov. 11. This season, Blandisi leads the team with 12 points, including four goals and club-best eight assists. He is average 0.86 points per game. Production Starting To Come: Miles Wood is starting to find his offensive touch. 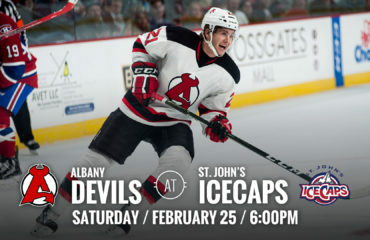 The Devils’ rookie has two points (1g-1a) in the last three games and three points (1g-2a) in the last five outings. 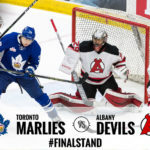 The 21-year-old was selected 100th overall by New Jersey during the 2013 NHL Draft. Last season, he played 37 games at Boston College (Hockey East) and had 35 points (10g-25a). 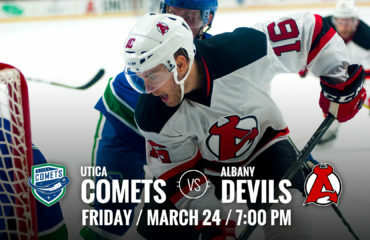 Milestone Watch: Brandon Gormley could be playing in his 200th career AHL game. 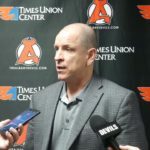 Since entering the league at the end of the 2010-11 season with San Antonio, the defenseman has registered 86 points with 21 goals and 65 assists. 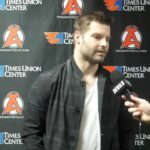 During Albany’s last game, he netted his first goal as a Devil.